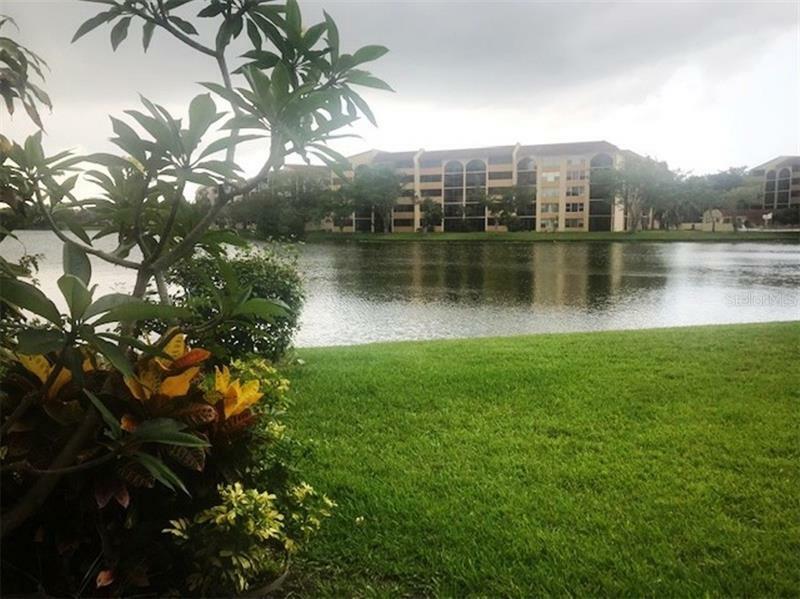 Beautifully upgraded, waterfront condo with 2 bedrooms, 2 bathrooms, stainless steel appliances, granite counters in the kitchen and bathrooms, ceramic tiles throughout, ceiling fans, and stacked washer /dryer. Resort-style community with swimming pool, tennis courts, and other amenities. Assigned parking space, extra storage available, and okay to rent out after one year of ownership. Walking distance to Publix Shopping Center, 10 minutes to Sawgrass Mall, and 30 minutes to the beaches.